The introduction of the new National Curriculum in 2014 saw 'computing' replace ICT. Across Wirral, different schools began to develop new and exciting ways to introduce their children to computing. The Wirral Primary CAS Hub launched in March 2016 to help bring together subject leaders, teachers and teaching assistants who are interested in developing Computing in schools. The informal hub meetings share ideas, activities, resources and expertise across the Wirral, providing space to share best practice and discuss through the areas of the curriculum that can be tricky. The hub meetings are FREE and open to anybody teaching, or interested in teaching, Computing to attend. Follow us on Twitter or 'like' us on Facebook to find out when the next hub is, or to get in touch. Alternatively, Sign Up for Updates to receive email updates from Wirral CPD about upcoming events, including Computing hubs. Visit the CAS website to gain access to thousands of resources and discussion forums. Unpick elements of the Computing Curriculum that you're looking for ideas for. 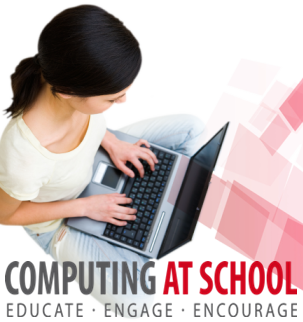 Follow @ComputingWirral for the latest Computing updates and great teaching ideas. Get support from a CAS Master Teacher at the network meetings.